Google Analytics 360 is an enterprise-level analytics solution providing new insights into your customers’ journey across all touchpoints and channels. It offers significantly higher data limits, a wider range of native integrations, and SLA-guaranteed level of service. When should you upgrade to Google Analytics 360? If any of the above sounds familiar, it might be time to consider implementing Google Analytics 360. You constantly hit the sampling limit in Google Analytics interface, but you still want to see precise data? You need access to fresh, timely data on an hourly or daily basis, but it takes too long to access that data? You’d like to utilize data from DoubleClick and other Google products in Google Analytics? You’re looking to benefit from in-depth analysis of your customers, based on hit-level Google Analytics data along with business data from a variety of other sources? What return on this investment do you expect? Google Analytics 360 is not free. If your conversion funnel generates millions of dollars per year, and you expect to increase that revenue through better data analysis, then Google Analytics 360 is exactly what you need. If your annual revenue doesn’t allow you to invest in Google Analytics 360 yet, you may want to consider using OWOX BI products to overcome a number of Google Analytics’ limitations. 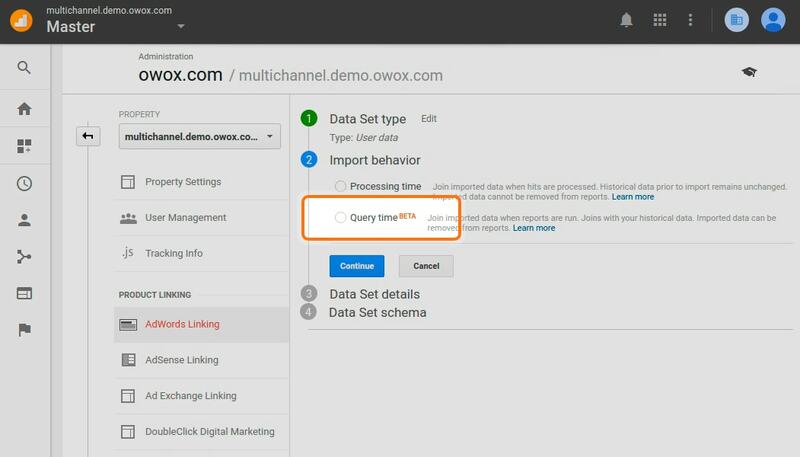 Why choose OWOX as your Google Analytics 360 Sales Partner? We have over 9 years of experience implementing online analytics in the leading Ecommerce projects worldwide, with more than 2,000,000 transactions generated weekly on our clients’ websites. We aim to ensure that you get the most out of your investment, and that your business decisions are based on the most accurate data. That’s why we offer our own expertise and services to help you achieve your goals. We annually co-organize a number of conferences on data analytics. Google Analytics 360 offers a significantly higher level of data accuracy and timeliness than the standard version, helping you to avoid blind spots in decision making. If the volume of your data exceeds 500 K sessions, Google Analytics applies sampling to process data more quickly. Once data sampling is applied, your reports start giving you a misleading picture of what’s going on. The higher the discrepancy, the more money you may lose. Google Analytics 360 only applies sampling if more than 100 M sessions are collected for a report. The data is up to 200 times more accurate as compared to the standard version. The free version of Google Analytics only allows for 10 M hits per month, per property. If you’re exceeding this data volume limit, you will lose your data. 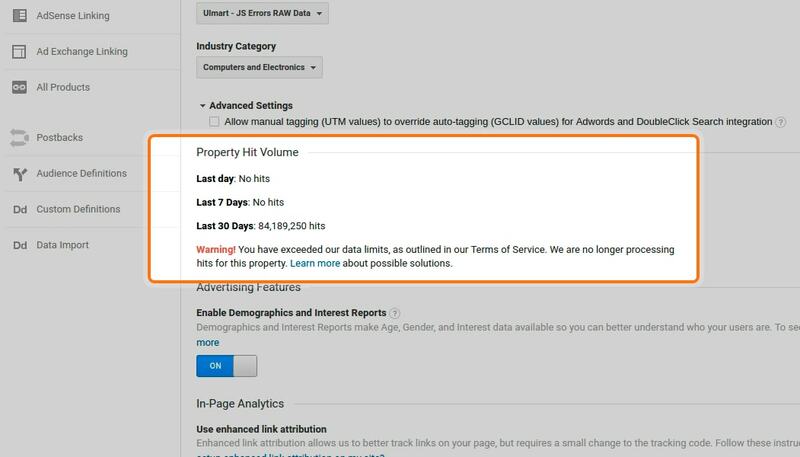 Google Analytics 360 comes with significantly higher data volume limits. The pricing depends on how much data you have. 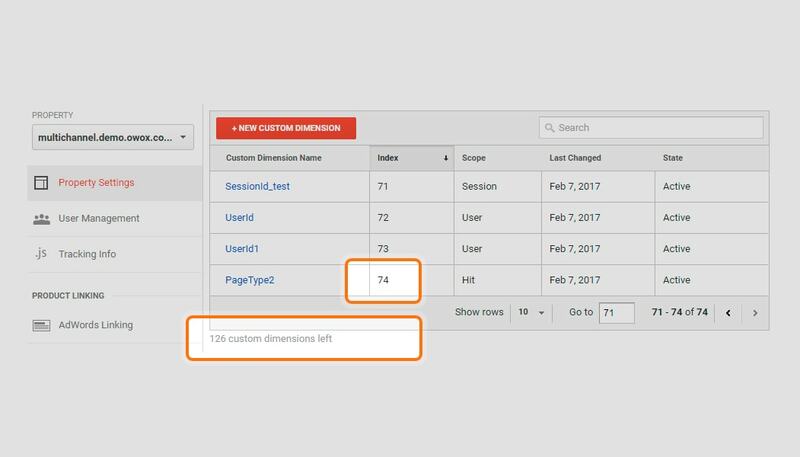 Google Analytics 360 provides an option to access Unsampled Reports, once-only or on a scheduled basis. 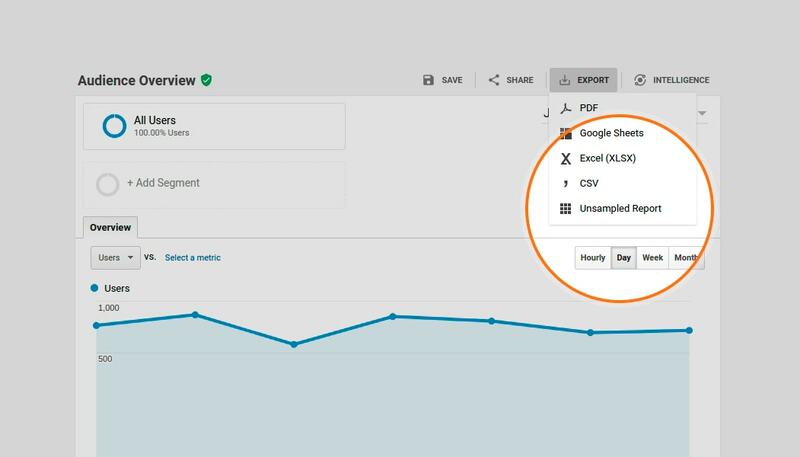 You will be able to use data in the familiar structure of a Google Analytics report, yet unsampled, without having to export or query the data to see the answers you need. You will also be able to save the report files to your Google Drive or hard drive for further analysis or visualization. An Unsampled Report can show up to 3 M unique rows of data, with no session limits at all. 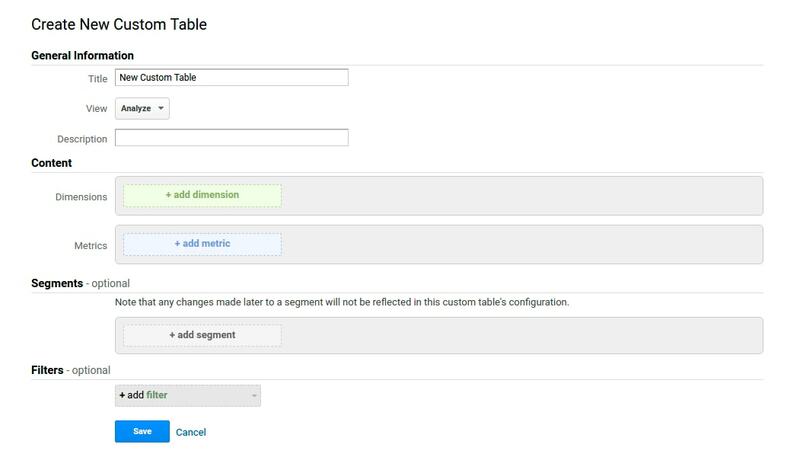 Custom Tables ensure the higher level of precision for the data you need most often, providing instant access to unsampled data for any pre-configured combination of dimensions, metrics, segments and filters. Each Custom Table can contain up to 6 dimensions, 25 metrics, 5 filters and 4 segments. They also have a limit of 1 M rows per day. It’s significantly higher than normal tables allow for. Additionally, once a Custom Table is ready to use, it will immediately contain backfilled historical data for 30 days prior to the creation date. Data available to the web interface within 4 hours. 99.9% SLA for data collection. Google Analytics 360 provides additional functionality for data analysis, visualization and reporting, enabling you to meet your big data challenges quickly and effectively. 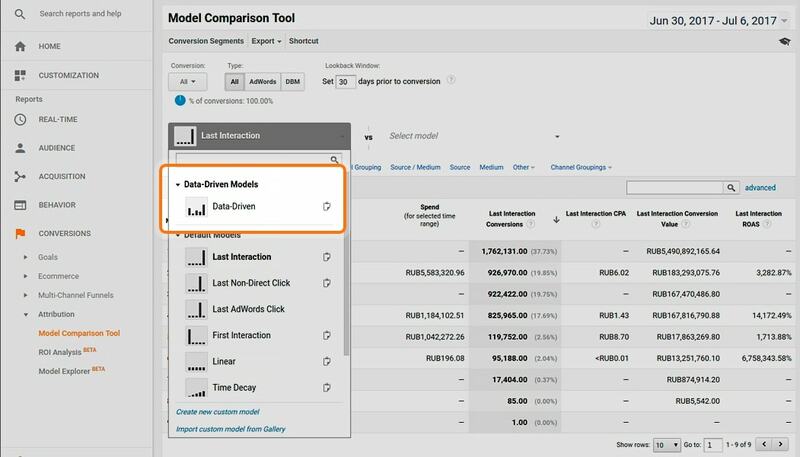 200 indices for custom dimensions and 200 indices for custom metrics, 10 times more than in the standard version, allow you to track any type of data, bring the data together and use this information for deeper and more granular segmentation of your customers, content and products. For example, you can segment website visitors by the location they choose on-site, by the content they view, or by landing page type. 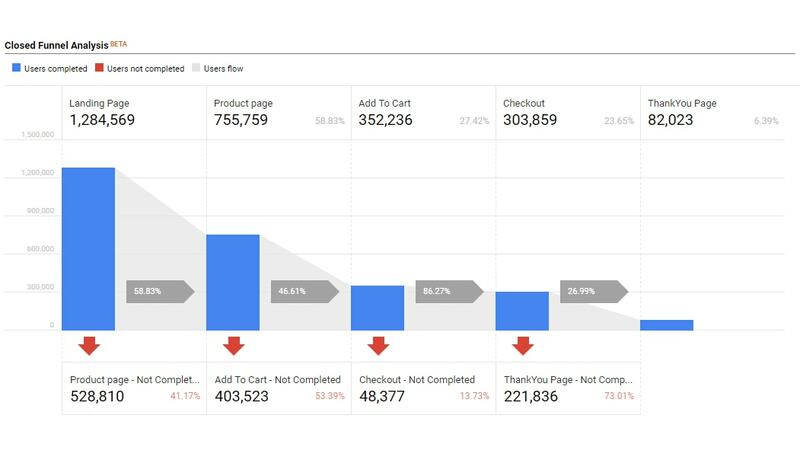 With Google Analytics 360, you can create user-scoped Custom Funnels to visualize each step the customers take on your website. You can configure your own set of rules to define each stage of the funnel, including such events as scroll tracking, video interactions, or filling in forms. You can not only discover bottlenecks in the funnel, but also instantly create segments and remarketing lists to target specific users who did, or did not, complete a certain stage of the Funnel. As a result, Custom Funnels allow you to streamline customer journey and improve conversion rate. Query time data import allows you to dynamically add data to hits that have already been processed. This means that you can update your existing reports when new information becomes available. For example, query time import helps dynamically update such calculated metrics as total customer spend, last transaction date, or customer loyalty score, each time a customer places a new order. You can also use this feature to add missing data or correct any errors in the data you have uploaded to Google Analytics before. Query-time import is reversible — if you delete the uploaded data, it will be deleted from historical reports as well. 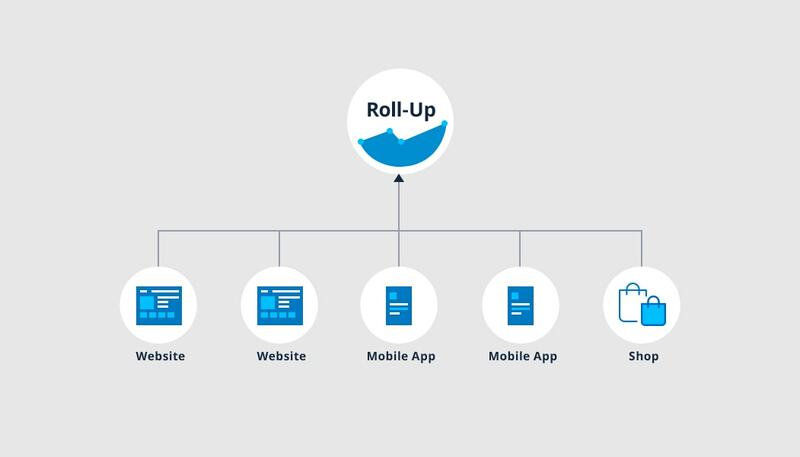 Roll-Up Reporting allows you to aggregate data from multiple properties in one Roll-Up Property, and see that data together in one report. With this feature, you can understand the overall performance across all your websites and apps. For example, you can answer such questions as, "How many transactions occurred on all my websites in the last month?" or "Which of my websites gets the most visitors? ", without having to manually export data. Position-based attribution models, such as Last Non-Direct Click, tend to significantly under or overvalue certain touchpoints involved in a conversion process. In contrast, the Data-Driven Attribution model uses the Shapley Value solution concept to algorithmically distribute credit over marketing touchpoints, based on the impact of your marketing efforts on the relevant success metric that you’ve set up. This allows you to fairly assess the performance of each channel, especially in the early stages of the funnel, and to adjust your efforts to improve ROI. Integrations across Google products enable you to connect and analyze data across all customer touchpoints in a single, easy-to-use interface. Google Analytics 360 and Google BigQuery integration allows you to gain valuable customer insights through advanced analysis of terabytes of data. Unsampled, hit-level data from Google Analytics 360 will be automatically imported into Google BigQuery — three files a day for the current day’s data, and one file a day containing the previous day’s data. Within four weeks after the linkage, Google BigQuery will also perform a historical export of at least 10 billion hits or 13 months of data. In addition to Google Analytics data, Google BigQuery also allows for importing data from a variety of other sources. You will then be able to use SQL-like queries to create reports of any structure for any period of time. It only takes BigQuery a couple of seconds to query the data and return the results. Moreover, Google Analytics 360 users get a monthly credit of $500 to spend on their’s Google BigQuery projects. 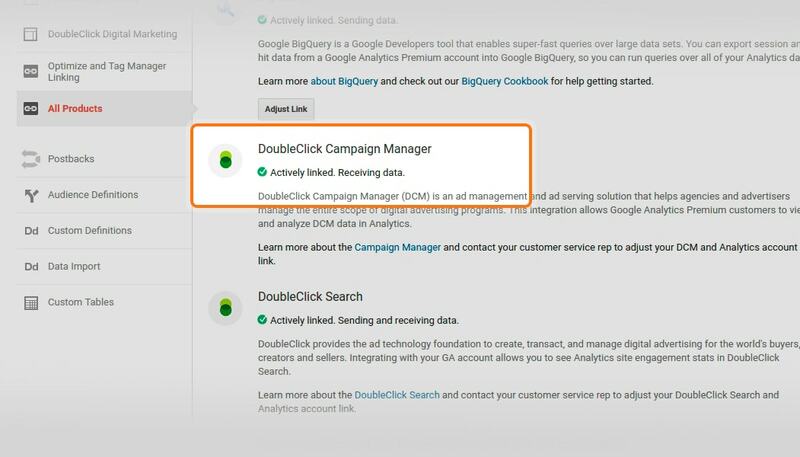 Linking up DoubleClick Campaign Manager and Google Analytics 360 allows you to view and analyze DCM data in your Google Analytics 360 reports. 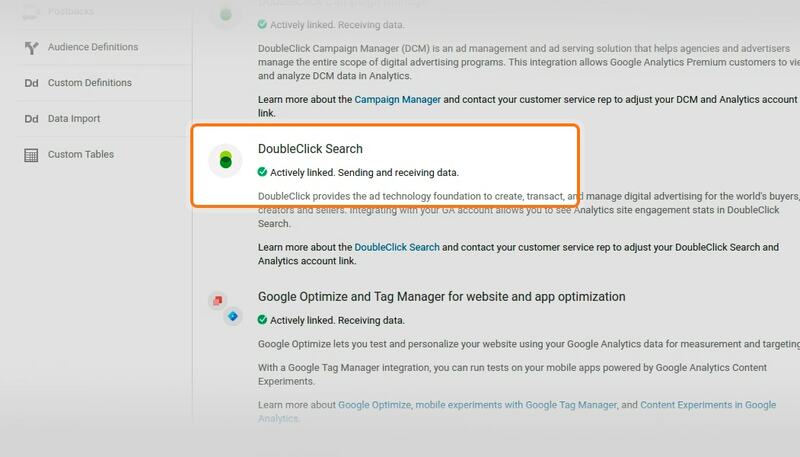 Once the integration is complete, you’ll be able to see data about clicks and view-through impressions which resulted in a visit, as well as data about user behavior and conversions, in a new set of dedicated DoubleClick Campaign Manager reports in the Acquisition section. Additionally, DCM activities will be integrated into Source/Medium, Multi-Channel Funnels, and Attribution reports. This will enable you to answer a number of questions for your ads, placements, creatives, campaigns, and virtually all the other DCM dimensions. For example, you can find answers to such questions as: Which display placement resulted in the most conversions? Which ad drove traffic with the lowest bounce rate? or, What keywords did eventual buyers search for after they viewed an ad? 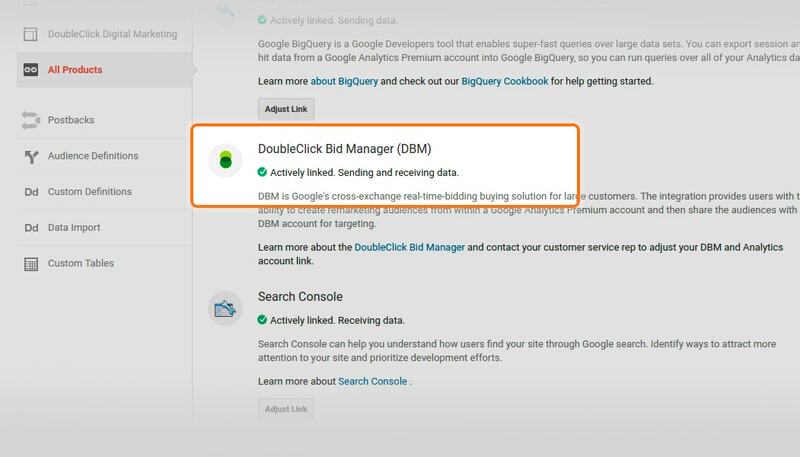 The DoubleClick Bid Manager integration allows you to view, analyze, and segment DBM data in Google Analytics. 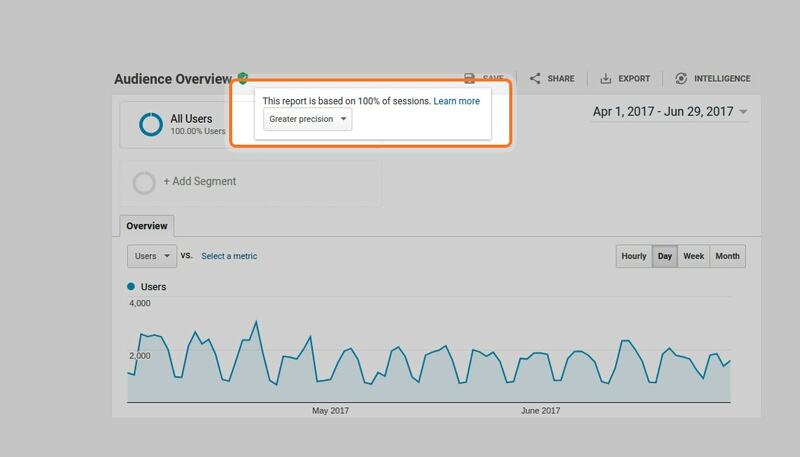 The dedicated reports will appear in the Acquisition section in Google Analytics, with engagement and conversion metrics along with DBM dimensions. You can also create granular remarketing audiences, based on any of your Google Analytics data, and have such audiences automatically available in your DBM account. DoubleClick Search (DS) reporting integration allows you to view and analyze DS dimensions along with Google Analytics 360 metrics for Acquisition, Behavior, and Conversions on your website. You will be able to monitor the performance of each of the advertisers, engine accounts, campaigns, and keywords you use in DoubleClick Search. The reports will also include DS-specific metrics for campaigns in Google Adwords and the other DS-supported search engines, including Bing, Baidu and Yahoo! Japan. 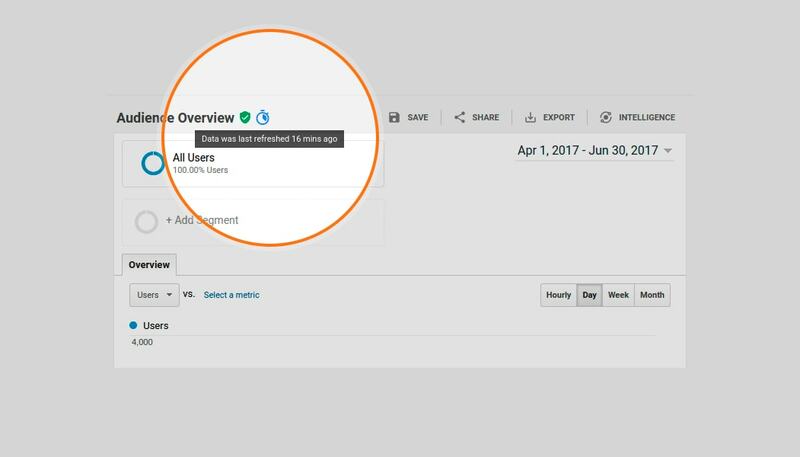 By integrating DoubleClick for Publishers (DFP) and Google Analytics 360 you will be able to see DFP metrics right in the Google Analytics interface. 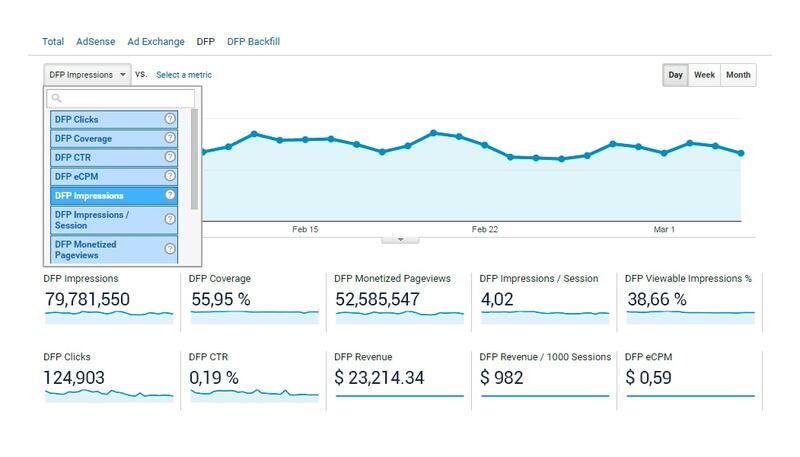 DFP provides metrics for ad impressions, coverage, monetized pageviews, clicks and revenue. Combining these metrics with dimensions from Google Analytics allows for analyzing advertising costs and revenue in the context of visitor activity on your website. For example, you will be able to see which sources are sending you the best traffic, and which pages on the website bring you the most/the least eCPM — revenue per 1000 pageviews. Moreover, you’ll be able to target ads to specific audiences by sharing Google Analytics Audiences with DFP. OWOX was the first company in EMEA certified as a Google Analytics 360 Authorized Reseller. You will receive extended service, training and support from our experienced analysts, allocated specifically to your account. It’s all covered in your SLA. 24/7 professional support from a dedicated analyst makes it easier to solve any issues related to Google Analytics 360. We are dedicated to sharing our expertise with you. This is why we conduct exclusive onboarding and ongoing training sessions for your technical, marketing, and business teams. We develop custom metrics systems and provide consulting services to address individual business challenges, in addition to providing technical support for Google Analytics 360. We will have you covered for managing tracking tags on your website. Our own expertise and capabilities of Google Tag Manager will help you solve most of your tasks without having to spend extra time, involve developers, or make changes to website code. We also offer to help you meet your business challenges with our own services. Helps get instant answers to questions of the data without involving any additional resources. Distributes value across channels that drove eventual buyers to the purchase, considering the probability of progression through each stage of the conversion funnel. You will get full access to each click, each session and each step of the calculations in Google BigQuery. 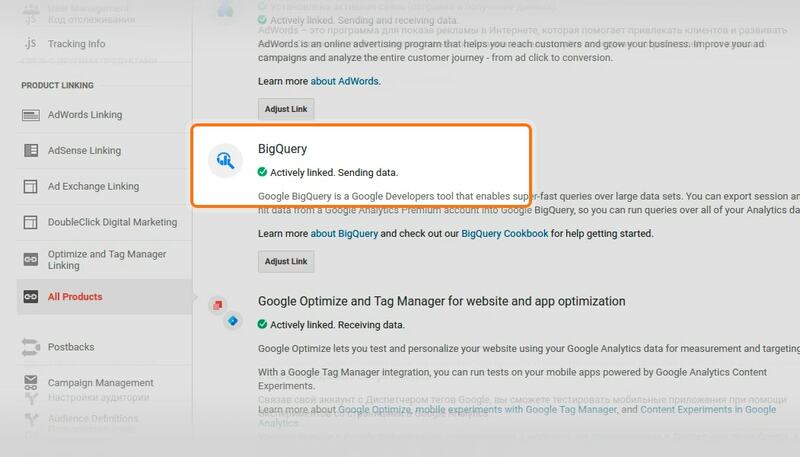 Helps combine data from your website, advertising services, call-tracking services, email marketing platforms, price intelligence services and a number of other sources in Google BigQuery, and automates cost data import from Facebook, Bing Ads, and other non-Google sources into Google Analytics. please fill in the form. We’ll write back ASAP.